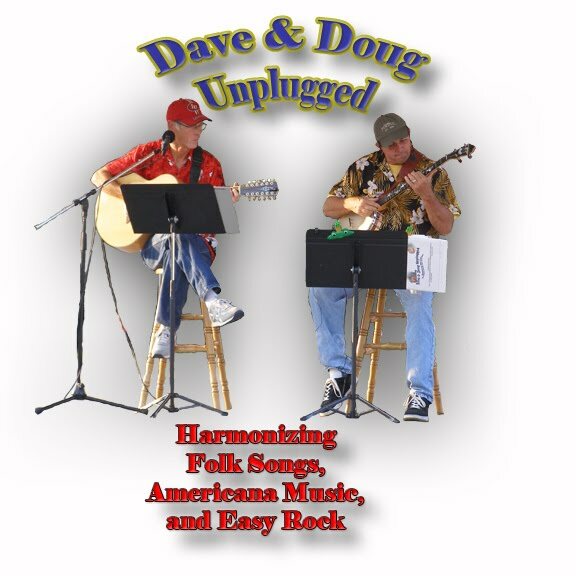 Dave and Doug Unplugged consists of Doug Hullinger and Dave Hicks. They started playing together when their daughters were in 2H Horse and Pony Club. We like the same kind of music and with Dave’s unbelievable ability to harmonize so easily they started singing folk music, Americana, and soft rock. Dave played a classic guitar, and a 12 string. 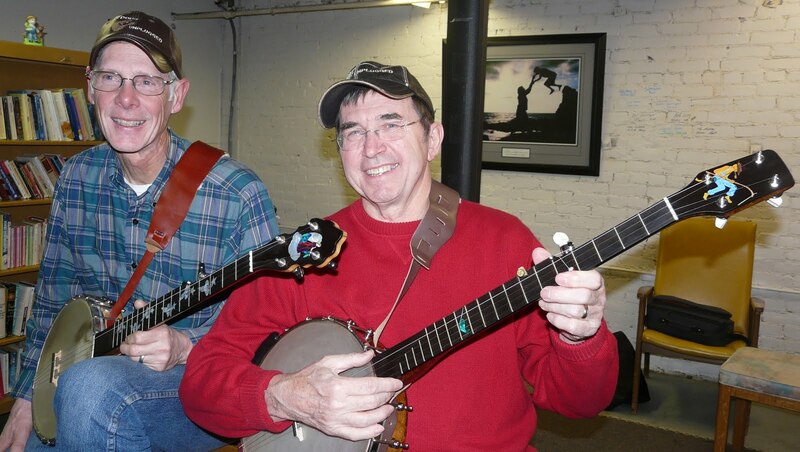 Doug was a Pete Seeger fan, and admires Pete’s “folks songs are to be shared and enjoyed” philosophy, and has had no lessons except for Seeger’s “How to play the Five String Banjo”. 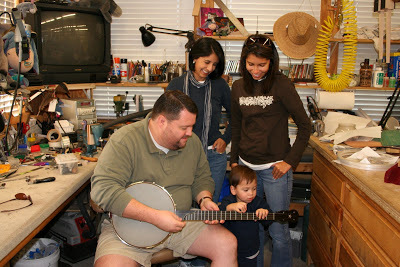 Doug bought a Chuck Lee Chautauqua with the Silver Bell tone ring (shown above) so he could be heard. They play a couple times a month at coffee houses and small festivals or other simple gigs, and enjoy sharing music with others. 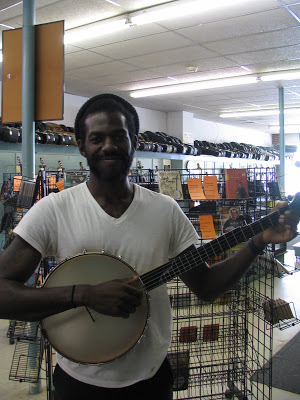 “I saved enough money to get another Chuck Lee banjo. This one I wanted t o be more traditional, no tone ring. 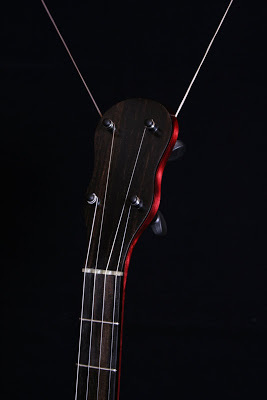 I did want something special so I contacted Chuck and we came to the conclusion that a custom banjo with a figure sitting fishing would be what I wanted. I live on a small lake, and play outside a lot during the summer. Next post It’s all about the great customers.